This Cloudeight Freeware Pick works with Windows 7, Windows 8x, and Windows 10. There are dozens of online file conversion programs all over the web. And there are dozens of file conversion programs you can download. But today’s Cloudeight Freeware pick, File Converter, is different. It works from your Windows Explorer right-click menu, so all you have to do is right-click a file and convert it to your choice of format. It does not get much easier than right-clicking on a file you want to convert and choosing the format to which you want to convert it. It’s the easiest file converter we’ve ever tested. * You need to have Microsoft Office installed and activated in order to convert Office documents. 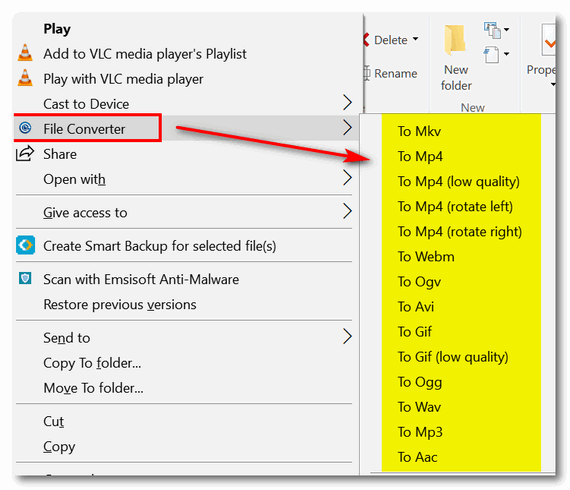 Another great feature of File Converter is that if the file format you want to convert isn’t one that File Converter can convert, it won’t show up in your right-click menu. Pretty smart! 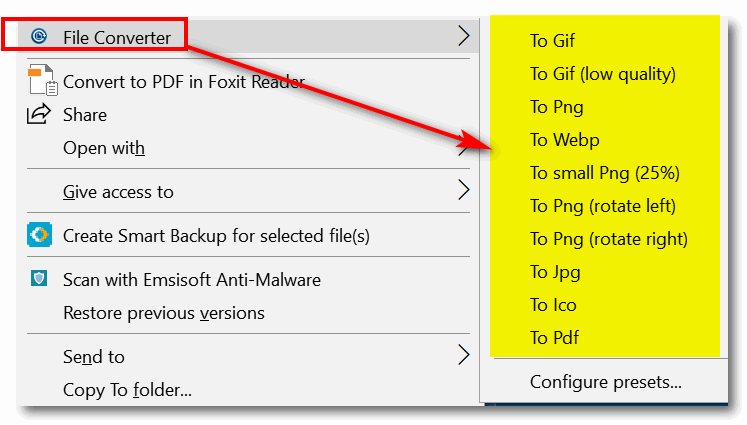 Here are some examples we did to show you how easy File Converter is to use. In the example below, I right-clicked on a Word document; File Converter makes it easy to convert it to a PNG or a PDF file. And in the next example, I right-clicked on an MP4 file, and you can see that I can convert the MP4 file to many other formats. And in the following example, I right-clicked on a JPG image file. Notice that I can convert it to GIF, PNG, Webp, ICO, and PDF, with just a click. 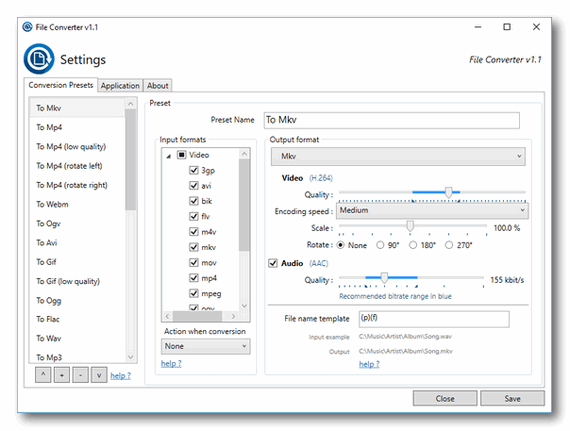 File Converter is a very simple tool which allows you to convert and compress one or several file(s) using the context menu in windows explorer. And it’s FREE! The interface is designed to be as light as possible to keep the application pleasant to use. You can heavily customize the application in order to add / remove conversion presets in the files context menus or edit the existing one to change the conversion options. File Converter is free. It contains no malware and no bundled software. You can learn more about and/or download File Converter here. Thank you. This is great and not bundled with a lot of junk!